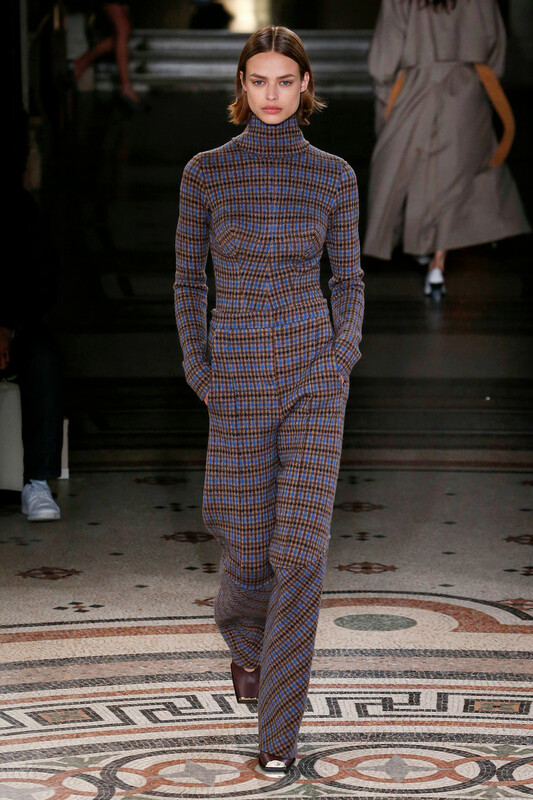 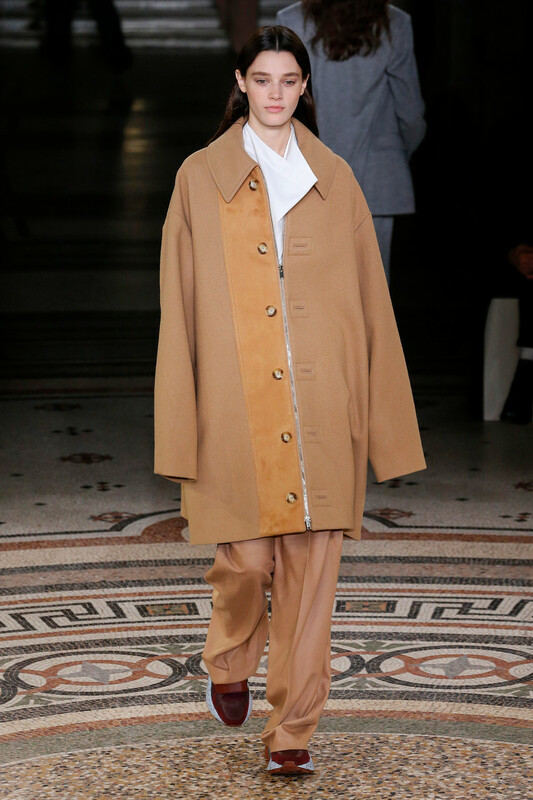 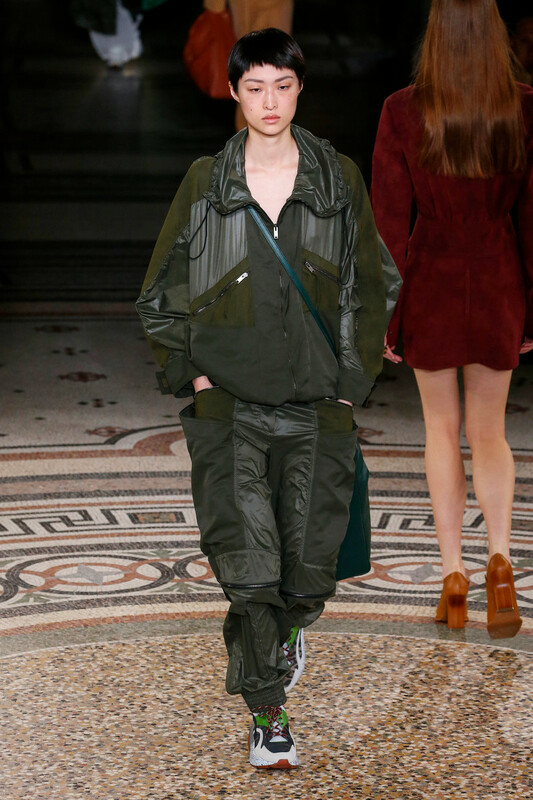 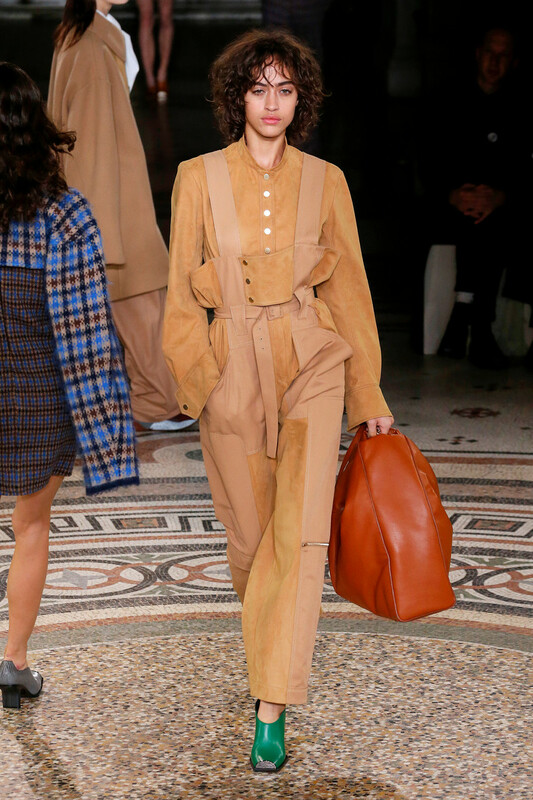 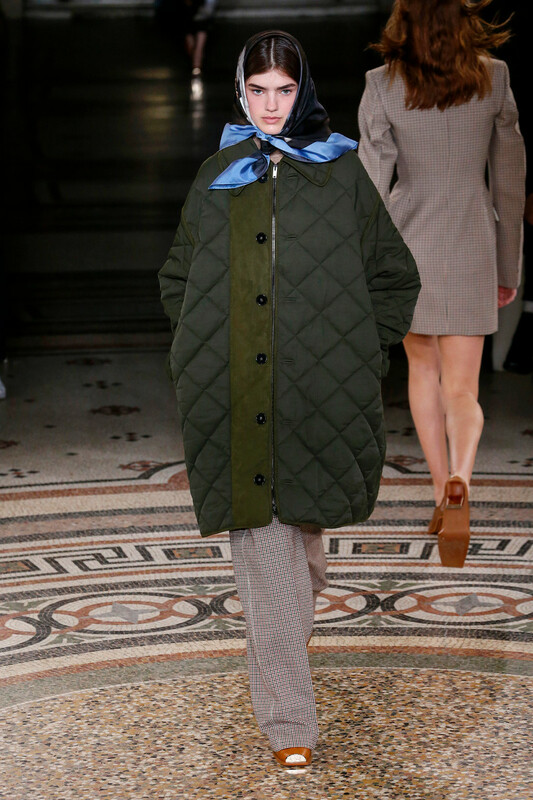 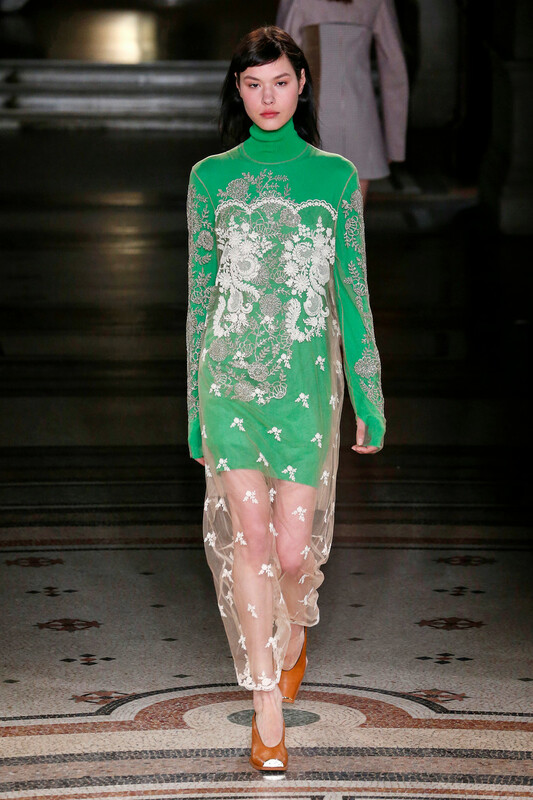 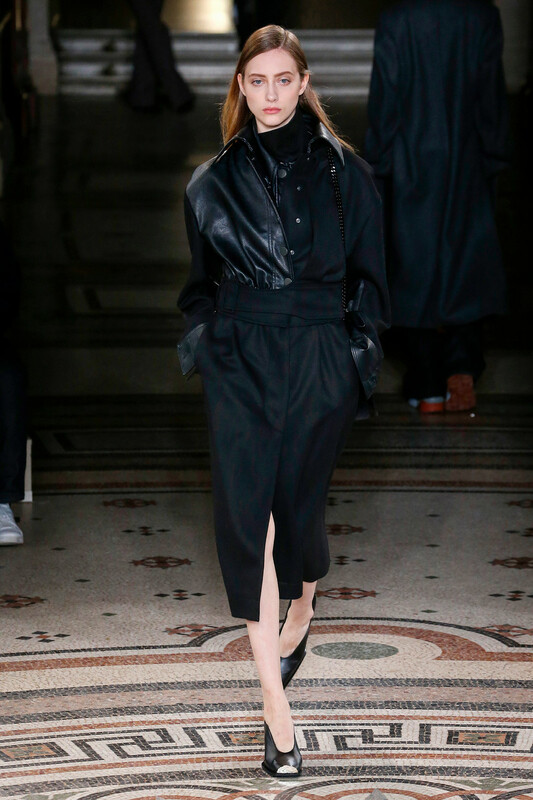 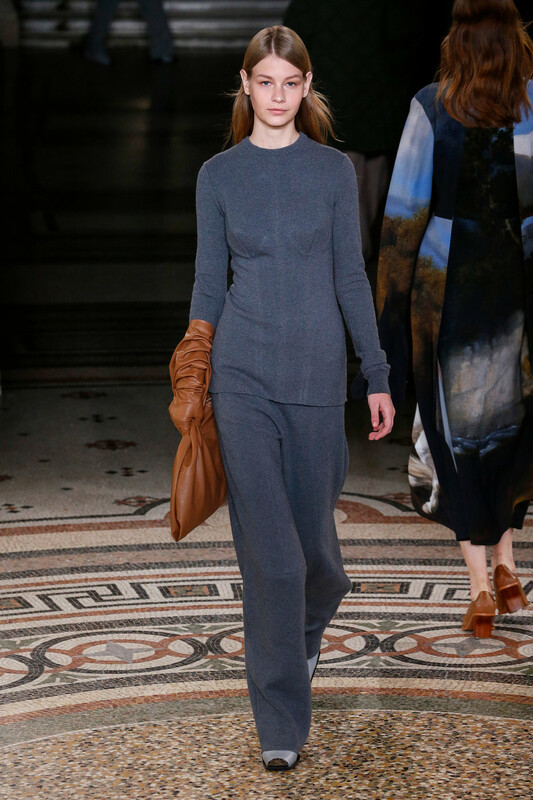 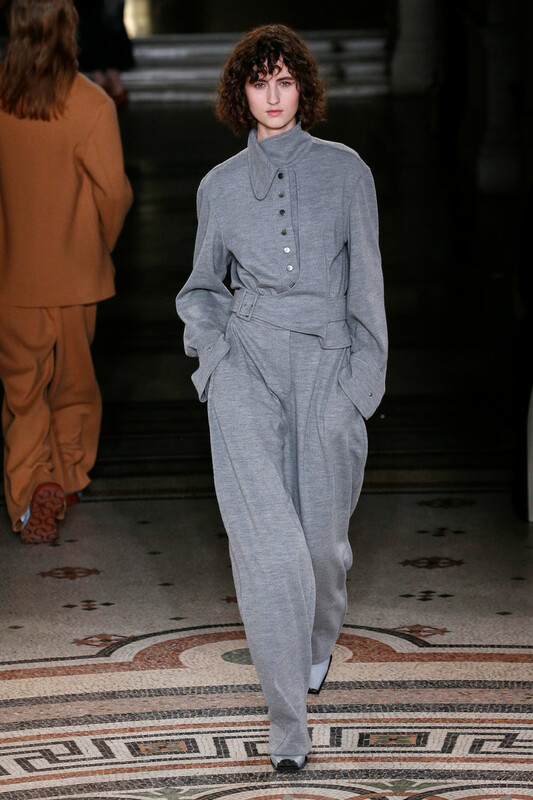 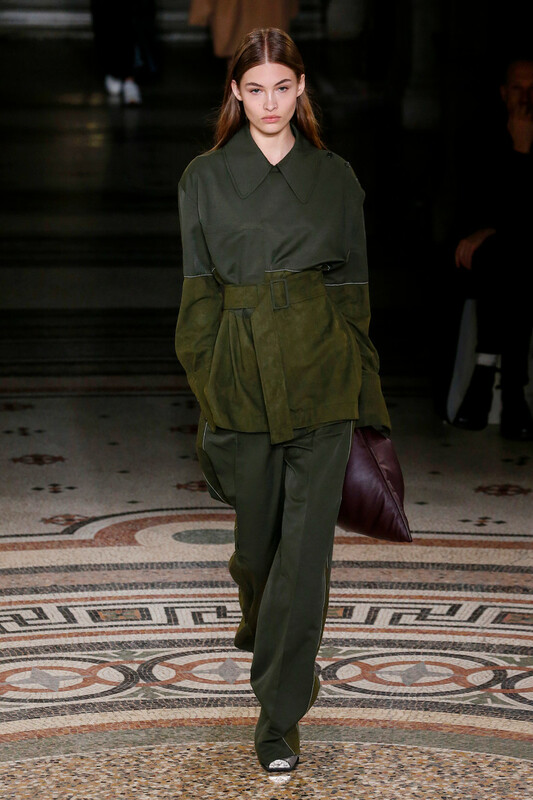 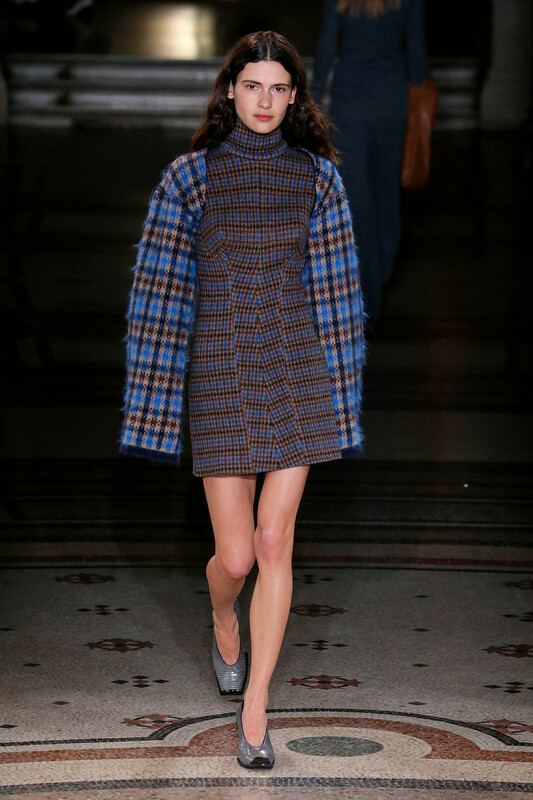 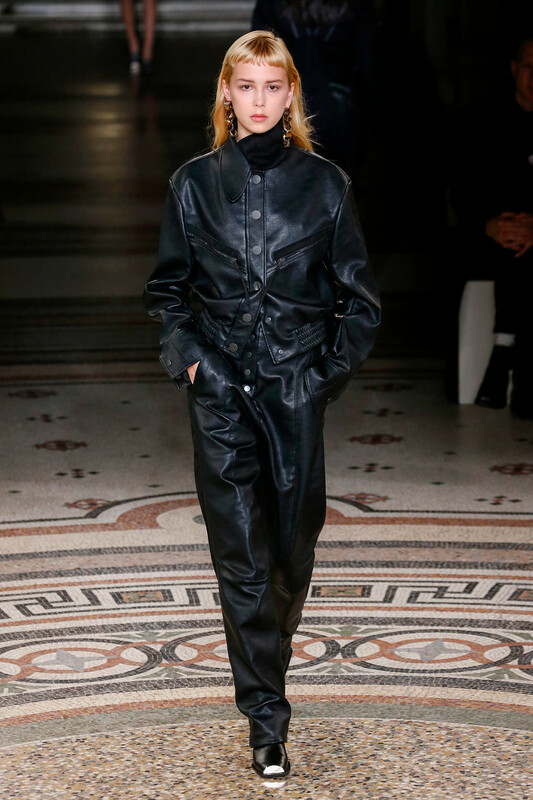 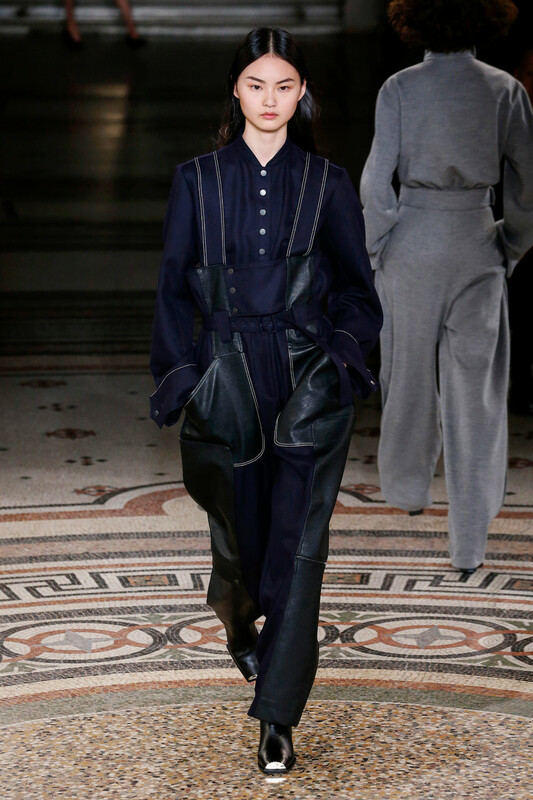 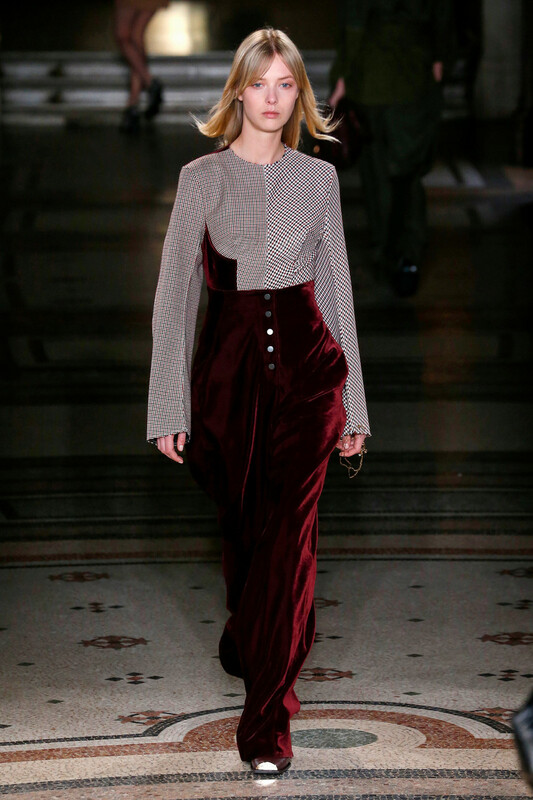 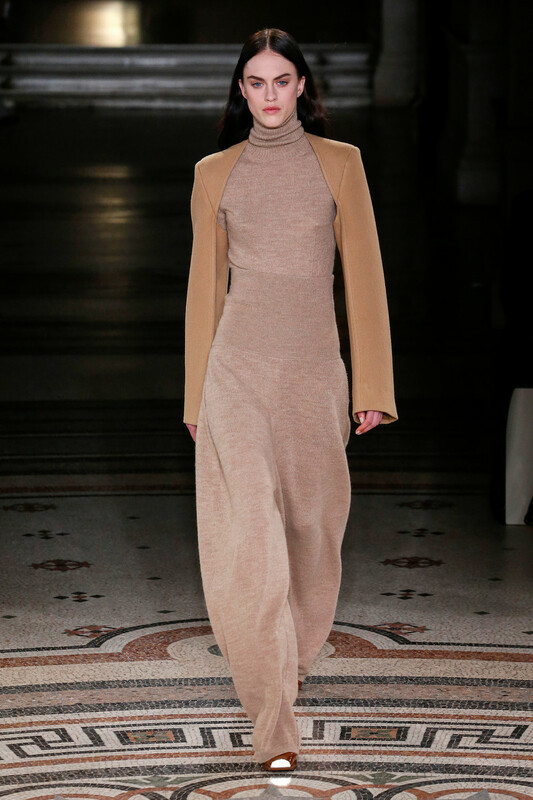 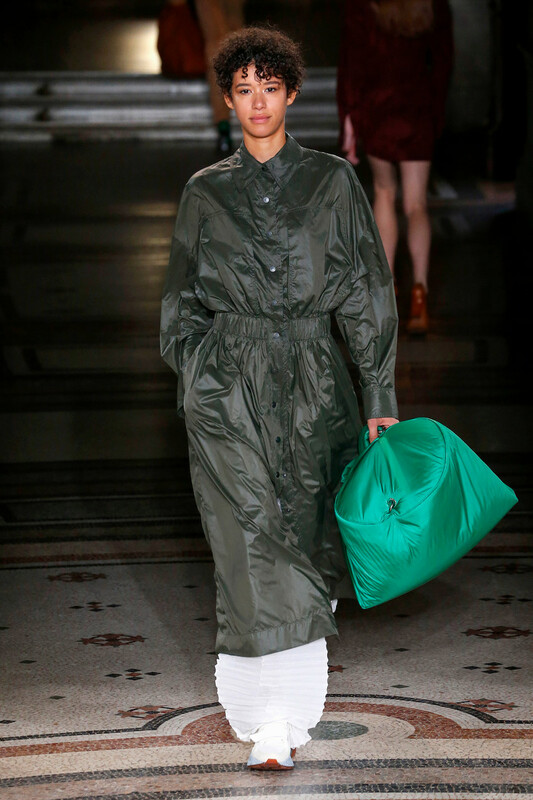 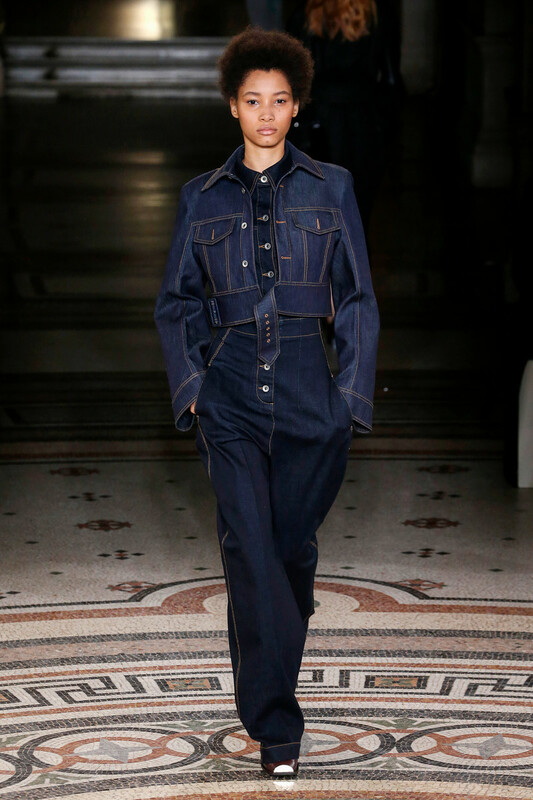 Stella McCartney made a demonstrative statement on womanpower yesterday with her fall-show by drawing from two very different sartorial motifs, along the way imbuing the clothes with a newfound daring. 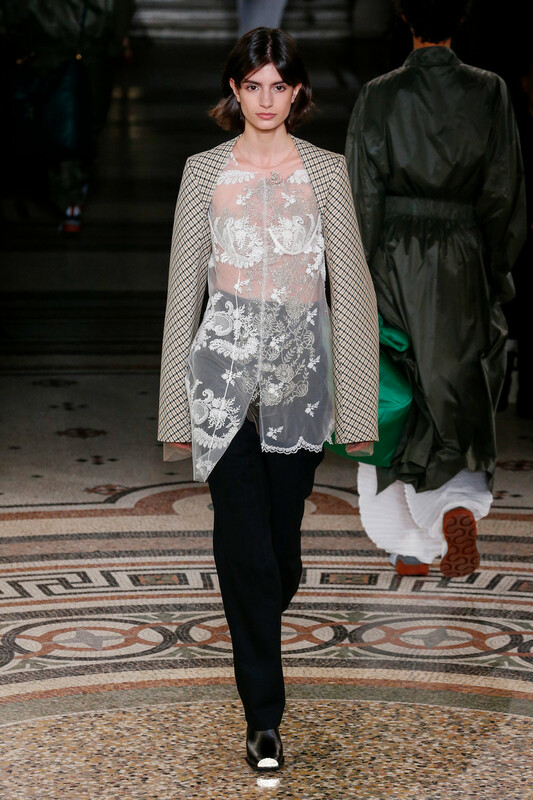 McCartney approaches her work as a creative problem-solver, delivering wardrobe solutions for real women. 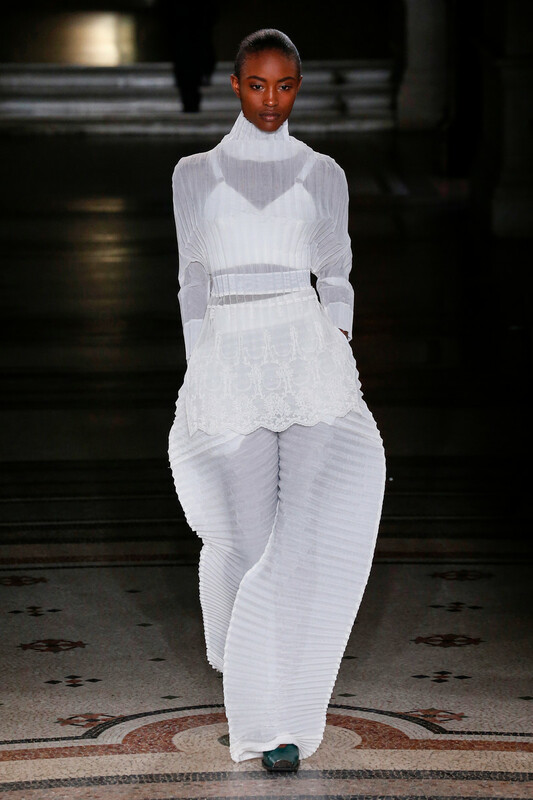 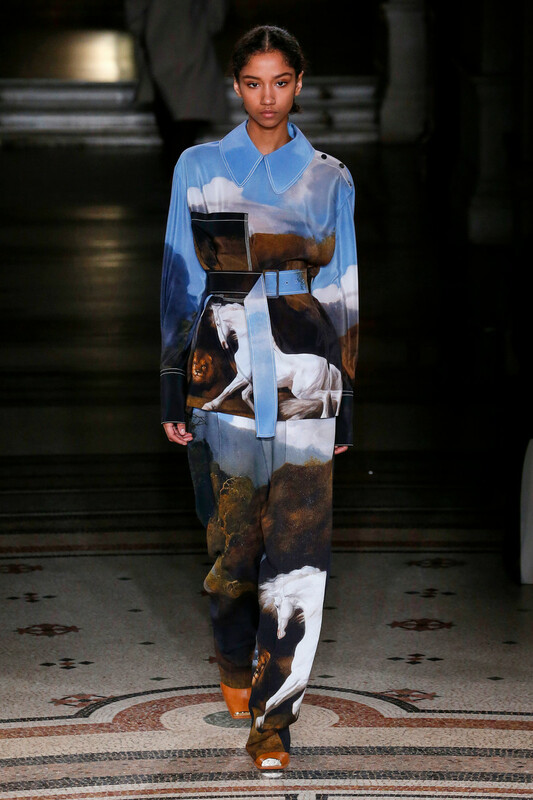 So the juxtaposed bravado of equestrian-inspired tailoring and pointy-bra constructions startled. 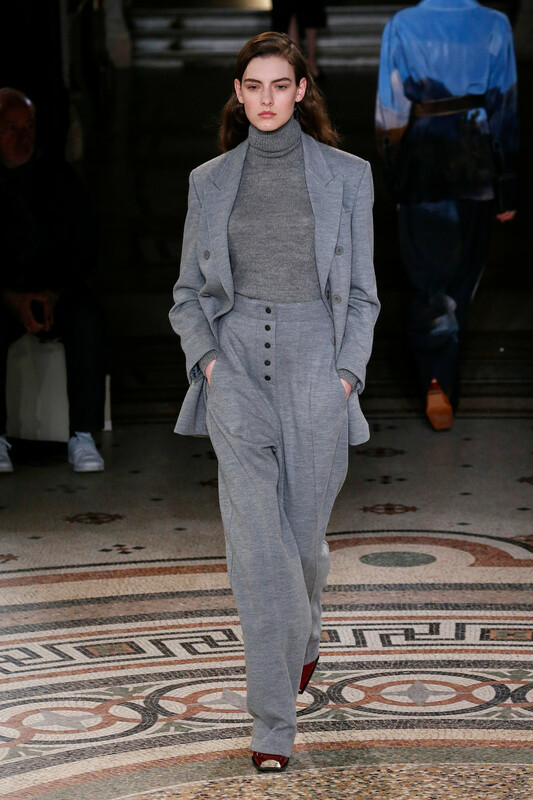 McCartney’s update, both under sweaters and in actual constructions, put the focus clearly on the breasts in a manner atypical today. 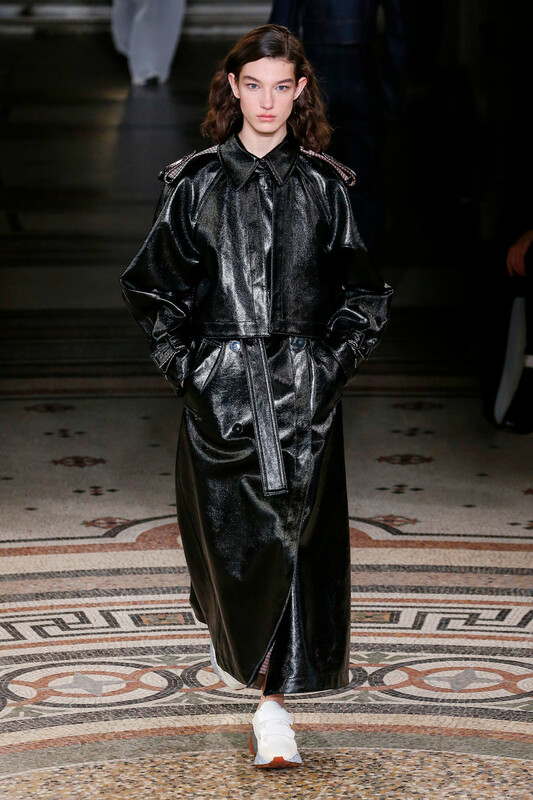 The message was loud and clear: Women are sexual beings free to express their sexuality as they wish. 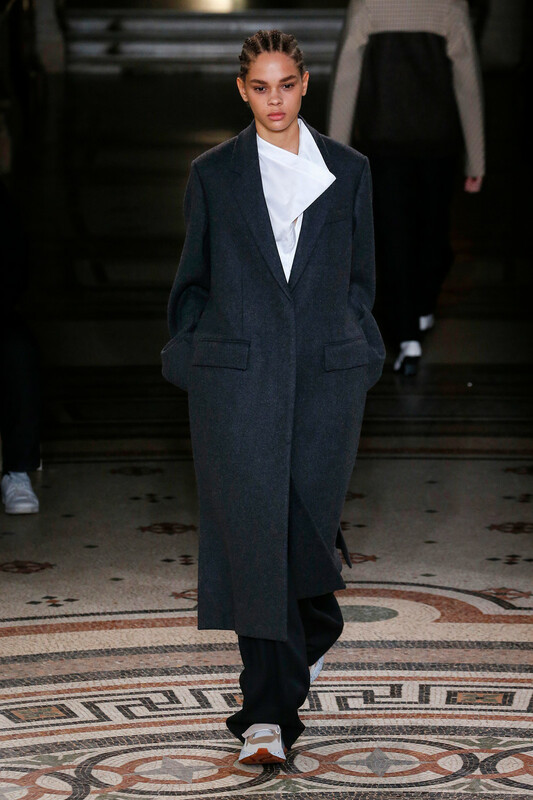 They are also powerful, opinionated and strong. 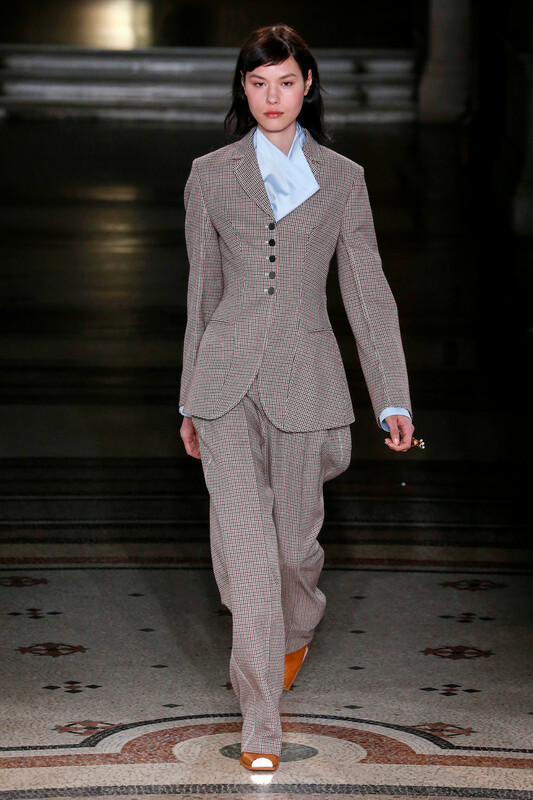 Many of those women love great clothes, an essential fact of which McCartney never lost sight. 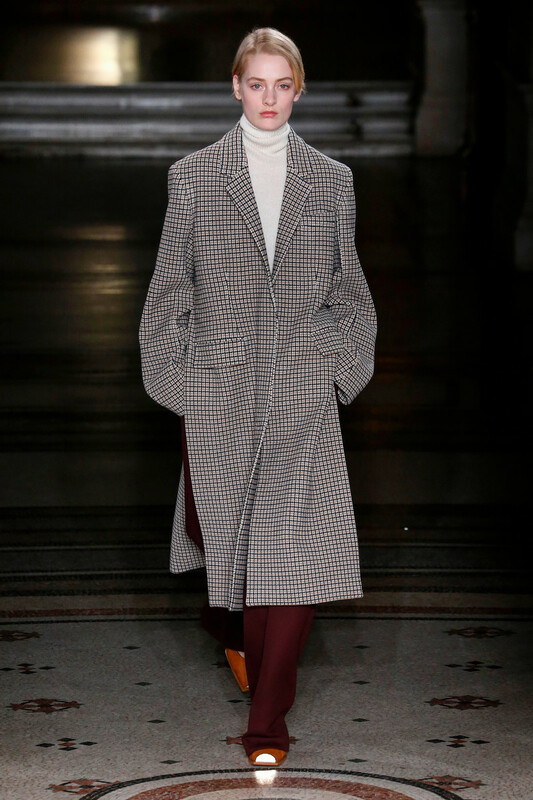 She served them up with impressive tailoring, whether a great, loose-fitting coat or comfortably curvy coatdress in a natty British check. 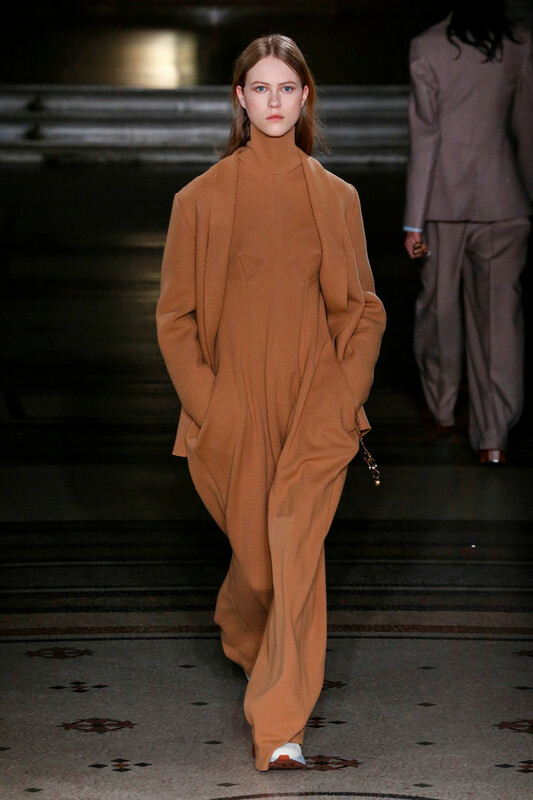 On a softer note: languid onesies with those bra constructions. 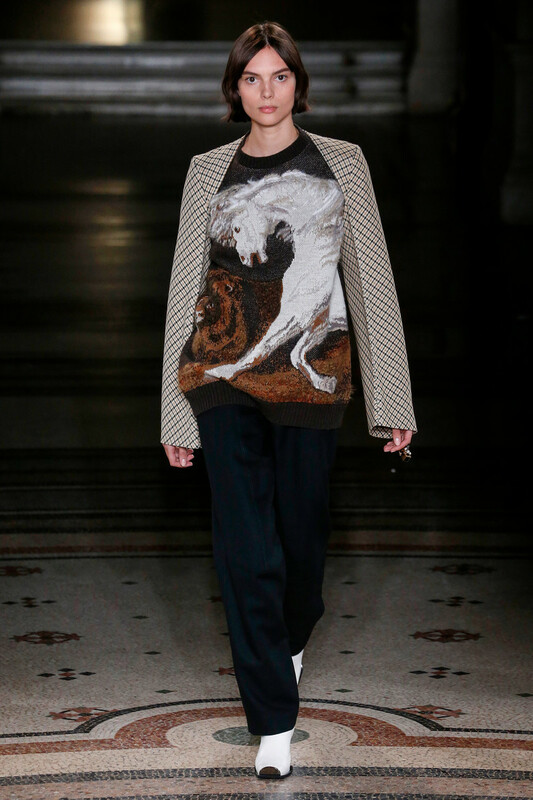 McCartney went more casual with tomboyish paper bag overalls and a sweater sporting her animal motif du jour, a glorious pictorial of “A Horse Frightened by a Lion,” by the 18th-century painter George Stubbs.